“For as many as have sinned without law shall also perish without law: and as many as have sinned in the law shall be judged by the law; … In the day when God shall judge the secrets of men by Jesus Christ according to my gospel” (Romans 2.12, 16). By intentionally preaching on politics before the upcoming election in defiance of the rule in Internal Revenue Code §501(c)(3) (“501c3”)(click the link to go directly to the law and read it for yourself), 1000 pastors plan to challenge the constitutionality of that provision. This article analyses their actions and intentions based upon a look at 501c3 in light of American civil law and Biblical principle and teaching. American law says that hierarchal governance shall be in the following order: The constitution of the United States, those federal statutes that control states under the supremacy clause, the state constitution, state statute, and county and city ordinances. Thus, for example, when a person is charged with a crime for violating a city ordinance which forbids speech in the public forum (i.e., government owned property such as sidewalks and parks which have been traditional forums for free speech), one can move to quash the action based upon his United States and state constitutional rights to free speech. Of course, one’s constitutional right to free speech in a public forum does not apply to certain criminal activity such as obstructing the sidewalk by rendering the sidewalk impassable or rendering passage unreasonably inconvenient or hazardous after disobeying a reasonable request or order to move by a peace officer, fireman, or person with authority to control the use of the premises. American hierarchal law is adequate to deal with a legal issue like the one presented in the preceding paragraph. However, in spite of its sufficiency in dealing with most temporal matters, it is incorrect and also inadequate. American hierarchal law does not recognize the highest law, God’s law as given in the Bible. God’s law is above man’s law whether man recognizes it or not. Civil governments, like individuals and churches, have a choice to make. God temporarily gives man free will because He wants man’s love. That which is forced can never be love. Thus, God allows civil governments to refuse to know and/or recognize that He is God. Nations who choose not to recognize God and operate within their God-ordained jurisdictions will ultimately be cursed according to their choice. Those who operate according to His principles will be blessed. No nation, individual or church can complain because reality, when looked at in the light provided by the Bible, gives man all he needs to know to make the right choice. Light ignored or rejected halts positive progress and brings ultimate undesirable consequences. The author would note that God’s law teaches that civil government under God establishes separation of church and state and freedom of religion (which can also be called freedom of conscience or soul liberty) while at the same time recognizing His Supremacy, because, as stated in the last paragraph, God wants every man to have a choice (See “Is Separation of Church and State Found in the Constitution?“). Thus a nation under God will separate church and state and will guarantee religious freedom while at the same time recognizing God and keeping its own authority within the jurisdictional boundaries which God has established in His Word. Just because America does not recognize the highest law does not mean that God’s law is not in effect: Although the First Amendment to the United States Constitution still forbids and corresponding state constitutional provisions protect against religious establishment (union of church and state) and freedom of religion, due to her successful attempts to remove God from practically all civil government matters, America is beginning to suffer the inevitable consequences and is now a moral cesspool in which wickedness is the rule of the day. Sadly, most of those who claim to know God and His law have accepted the American hierarchy of law as opposed to the Biblical hierarchy of law. Even the vast majority of pastors, men who should know better, claim that the Bible teaches that believers should obey every ordinance of man; and they cite Romans 13:1 or 1 Peter 2:13, out of context to support their position. (All these matters are dealt with on the “Separation of Church and State Law” website and also in books written by this author. Go to Render Unto God the Things that Are His: A Systematic Study of Romans 13 an Related Verses for an online version of the book which explains the true meaning of Romans 13:1, 1 Peter 2:13, and other related verses. Go to the Sermons page of “Separation of Church and State Law Website” to hear sermons on Romans 13, 1 Peter 2:13 and other relevant matters. See also, Endnote. Note. All Jerald Finney’s teachings can be accessed on his websites at no cost whatsoever.). They even go so far as to say that churches should incorporate and apply for 501c3 status, even though there is no ordinance of man in America requiring churches to do so. In fact, the laws of incorporation and 501c3 violate the First Amendment to the United States Constitution. (See infra). A few years ago, the Alliance Defense Fund (“ADF”) had a pulpit initiative in which 100 pastors preached on politics in defiance of one of the several the rules they agreed to when they asked for and were granted 501c3 status. The ADF informed the Internal Revenue Service and widely advertised the date of their upcoming activity. After the date of their activity, the Internal Revenue Service simply ignored it. No action against the pastors and churches involved was taken. A cursory examination of the law and the position of the 1,000 pastors quickly reveals the folly of their action. 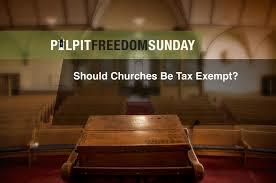 Is not the entirety of Internal Revenue Code §501(c)(3) unconstitutional as to its application to churches? Is not it a law respecting an establishment of religion and a law which prohibits the free exercise thereof? If so, and if the 1,000 pastors truly honor the Constitution, then why did they seek 501c3 status in the first place? Why did they and untold thousands of other pastors not cancel their 501c3 status in its entirety and legally attack the entire law as being unconstitutional as applied to churches? Of course they and this author know the reason. They incorrectly perceived that such status would be of benefit to them and the churches they pastor as they proceed with their attempts to build their mini-kingdoms on earth as well as to establish the Kingdom of Heaven on earth; attempts guided by humanistic and/or heretical, not Biblical concepts. A non-501c3 church which is careful to operate as a spiritual entity only, not a legal entity, is protected by God and by the First Amendment. 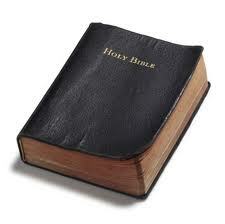 It is a First Amendment Church; it is, as to its organization, a New Testament church. The federal government and the Internal Revenue Service understand this. The author has thoroughly explained all these matters in some detail in his books and websites. He quotes directly from the Internal Revenue Code, Internal Revenue Service Regulations, and from various other legal sources. See En1. 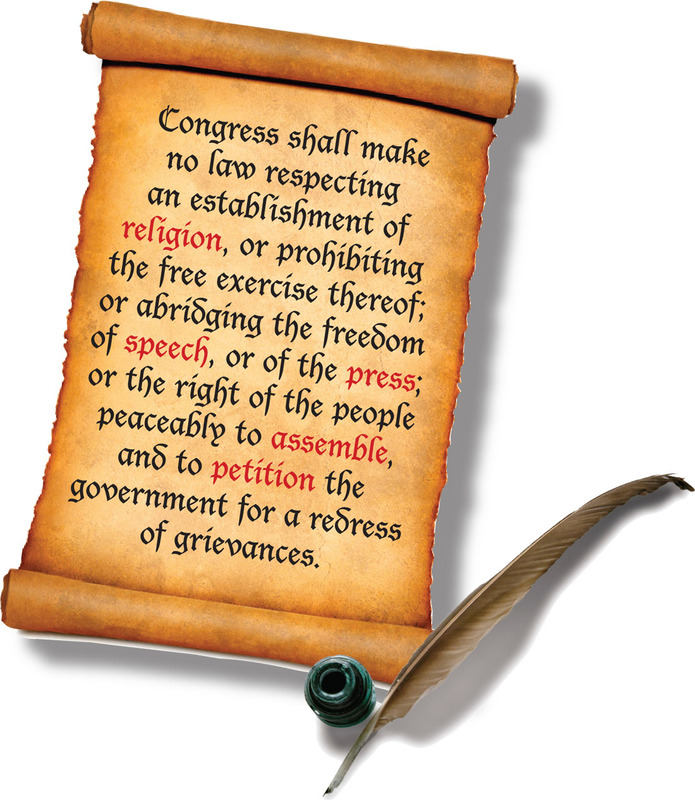 The First Amendment is a statement of the Biblical principles of separation of church and state and protects any church who does not become a legal entity such as a corporation, unincorporated association, or charitable trust and who does not obtain 501c3 or 508 status. First Amendment churches have many benefits which a 501c3 or a 508 church does not have. First Amendment churches are free to preach whatever God leads them to preach without persecution. They please God in their manner of organization since they submit themselves to no head other than their Bridegroom and Husband, the Lord Jesus Christ. The members of First Amendment churches have greater protection against criminal and civil actions and liability than do members of corporate 501c3 churches. First Amendment churches, unlike 501c3 churches, can have the power of God if they also honor other Biblical precepts. Again, all these matters are explained in detail in Jerald Finney’s books and websites. Many churches in America are now operating without legal entity status and without 501c3 status. These 1,000 pastors, according to the Bible, are proceeding without Biblical knowledge. They want their cake and to eat it too. They want the part of the unconstitutional law that they like, and they want to discard the part of the unconstitutional law they do not like, based upon a constitutional argument that only the part of the law which they do not like is unconstitutional. God is not going to honor their efforts, no matter the outcome of their actions. These pastors simply do not seem to possess the wisdom necessary to understand that God wishes His churches to be under Him only, that He is sufficient without the help of their other “lover,” and that he in fact is jealous of His churches. They do not realize that First Amendment churches in America can do much more for the Lord than can 501c3 churches since non-501c3 churches can have something that they can never have – the power of God. 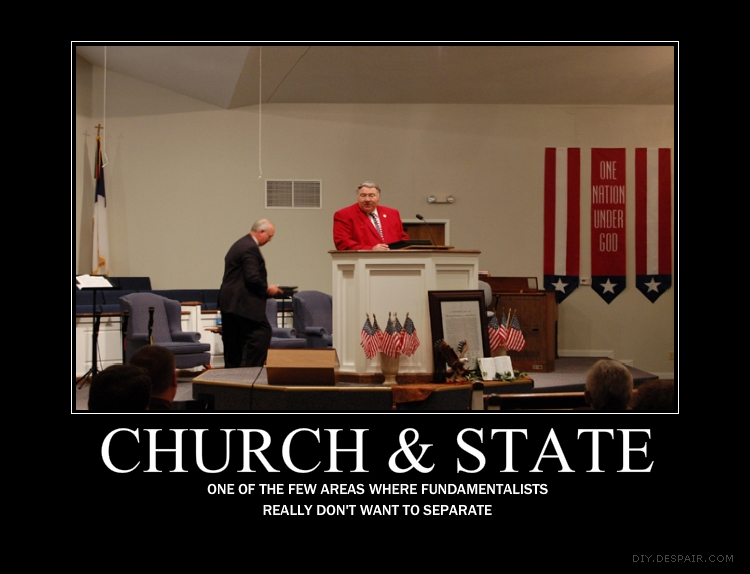 They miss the main point of it all: legal entity status for a church violates the Biblical principles of separation of church and state and the right to free exercise of religion. They should readily understand all this since they are seeking a resolution to the problem from their 501c3 authority, the federal government and her court system, to decide the issue; and they will be required, as 501c3 churches which have submitted themselves to the federal government, to honor the decision of their sovereign. They want the Internal Revenue Service to challenge their political preaching so they can challenge the IRS by going to federal court, the designated agent of their sovereign. It is obvious to the Bible believer that God is very displeased with what they are doing. They do not understand that they gave up their First Amendment rights (their God-given freedoms) and placed themselves under the Fourteenth Amendment as to many matters when they intentionally became legal entities and/or asked for and received 501c3 status. They do not and maybe cannot understand American law, God’s law, and the true hierarchy of law. They do not understand the truth of what the Bible teaches about church, government, and separation of church and state. They are not and will not be free until they believe, understand, and act according to God’s word. “Then said Jesus to those Jews which believed on him, If ye continue in my word, then are ye my disciples indeed; And ye shall know the truth, and the truth shall make you free” (John 8.31-32). Miscellaneous essays and articles by Jerald Finney. Stanley said pastors attending the Oct. 7 “Pulpit Freedom Sunday” will “preach sermons that will talk about the candidates running for office” and then “make a specific recommendation.” The sermons will be recorded and sent to the IRS. Stanley and others, like San Diego pastor Jim Garlow, say the IRS regularly threatens churches that they will lose their tax-exempt status if they preach politics. But Stanley and Garlow claim the government never acts on the threat because it wants to avoid a court battle. A spokeswoman for the IRS did not comment on the matter and instead referred all inquiries to the government’s online handbook. Garlow and other pastors say their concerns over the code extend well beyond the law.